The disturbing atrocities committed at the LaLaurie mansion might explain why it's believed to be haunted. 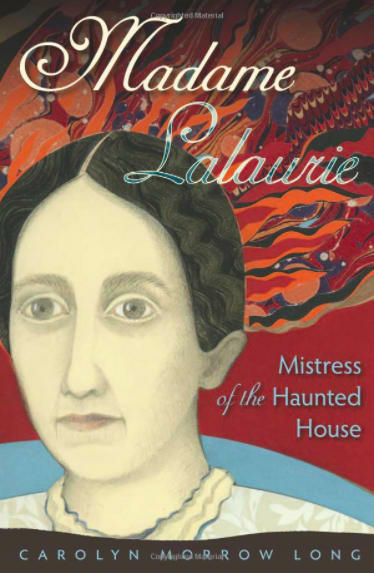 Carolyn Morrow Long, author of Madame LaLaurie: Mistress of the Haunted House, gave a lecture at Gallier House in New Orleans on October 11. During the 30 minute talk, which included slides, she went over some of the surprising things discovered about LaLaurie while doing research for her book. Delphine Macarty LaLaurie will forever be associated with the disgrace put upon her name following a fire that broke out in the kitchen of her home at 1140 Royal Street in New Orleans on April 10, 1834. As this fire raged, firefighters entered the home and discovered the horribly disfigured bodies of seven slaves that were chained up, in various degrees of starvation, and left to die. These terribly mistreated slaves, referred to as "bondspeople" at the time, were rushed off to be given medical care. Although it was illegal to treat slaves in such a way, even in the Louisiana of the 1800s, Madam LaLaurie didn’t receive so much as a slap on the wrist by local police. Enraged by what had been discovered in the LaLaurie home, and by the fact that Delphine (who was called a "demon in the shape of a woman" in papers following the fire) got away with her crimes, the people in town ravaged her house. By the time they were done with it, the home was almost completely destroyed, and LaLaurie had fled to Paris. During the lecture Carolyn Morrow Long read a section from her book which goes into graphic detail about what exactly was found in that house on Royal Street during the fire in 1834. Pulling a direct quote from the French edition of a local newspaper called the Bee, Long provides firsthand evidence of Madame LaLaurie's crimes. Seven slaves, more or less horribly mutilated ... suspended by the neck with their limbs stretched and torn from one extremity to the other." According to articles that ran the day after the fire, among those held captive were a female slave who was over 60-years-old, and a man whose whole body was covered with scars, wounds filled with worms, and a hole in his head. During investigations it was found that LaLaurie tortured these people just to the brink of death but was careful to keep them alive for the sole reason that they could then suffer even more. According to Ms. Morrow Long’s research, the main myth debunked in the case, that Lalaurie tried to make a human caterpillar girl, is found in virtually every recounting. The author states that while there's no evidence to back this particular tale, everything else was just as terrible as you could possibly imagine. 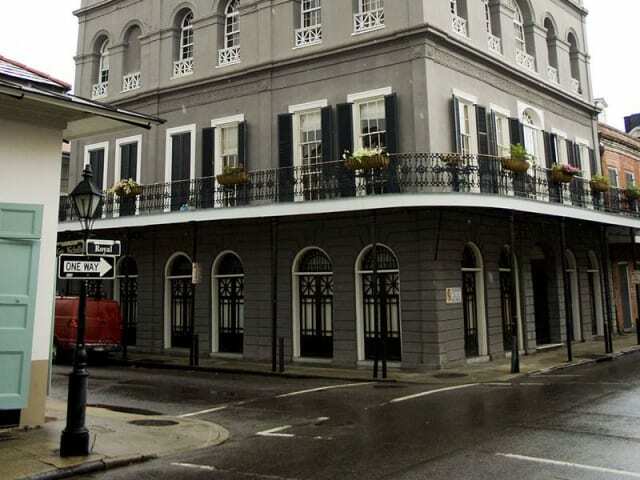 The author also noted that many ghost tours in New Orleans stop and point up to an attic area of the house, indicating that this is where LaLaurie kept her slaves captive, but in truth there was no such attic on the house in 1834. Per an article in the Times-Picayune, the third level is thought to have been added around 1837. In actuality, the gruesome crimes against her slaves took place in a room above the kitchen, which was set apart from the main house. Carolyn Morrow Long also addressed the question that everyone asks when it comes to the story of LaLaurie, and that's whether or not the home is haunted. She expresses regret at not following up on a call she received years ago from a construction worker who had worked on the home and experienced paranormal activity saying "I bet he DID!" According to the author's book, the home on Royal street changed hands many times following the fire and subsequent wreckage by locals on April 10, 1834. In 1837 LaLaurie's son-in-law, Placide Forstall, sold the home to a man named Pierre Edouard Trastour for $14,000, which was about half of the original purchase price. Only three short months later, Trastour sold the home himself to a man named Charles Caffin, who did a bit of renovating and is most likely the one who added the third level. From here it was bought and sold a few more times, even being turned into rental apartments at one point. The building is widely thought to not only be haunted but also cursed, since every person who has purchased the home from the 1830s on has fallen into financial ruin of some sort. This includes the actor Nicolas Cage who lived in the house but lost it to foreclosure in 2009. The LaLaurie mansion was listed for sale shortly after for $3,550,000—a far cry from the $30,000 or so the woman herself originally paid for it, even when adjusted for inflation. To this day the house is thought to be one of the most haunted, if not the most haunted, in New Orleans.